In her youth, Paulette enjoyed the freedom, sense of wonder and sweat-of-the-brow accomplishment her family’s ranch allowed. “I learned how to work long and hard, that the fruits of your labor are always tangible, and that I love cattle.” Even more, she quickly gained insight into her place in the world as a strong, determined and fearless woman. “Being a girl doesn’t disqualify you when men see your value and teach you how to become great. My grandfather and uncles never thought twice about me being female. They gave me those traditional boy jobs and expected me to rise to the occasion,” she says. “They were sensitive to the differences in my strength but never gave me a handout because of it. It really set me up for success and made me tough, mentally.” As you’ll soon hear, that strength pours over into much of her music. Greatly influenced by Leann Rimes, the Dixie Chicks, George Strait and Kenny Chesney, Paulette grew up on the outskirts of a new kind of sprawling, western-tinged metropolis, Dallas, Texas. She was one of four kids, and her parents worked tirelessly to provide the most stable homelife possible. In high school, the young, wide-eyed girl began to realize the stunning contrast between her “hand-me-down ranch truck with red dirt in the air vents,” she recalls, against a long parade of expensive and shiny new BMWs. “Dallas is the cattle and the money kinda all wrapped up into one,” she says with a smirk. Oddly enough It became those things that inspired the “New West” sound, that juxtaposition the old and traditional against the shiny and new. From belting Dixie Chicks’ “Cowboy Take Me Away” and “Wide Open Spaces” early on to spinning everything from “Troubadour” by George Strait to Chesney’s “Be as You Are” record on loop, a vital asset to her high school days, Paulette’s sense of musical depth is both rich and of the earth. After reading an article on Chesney’s choice of marketing degree and seeing the effects it had on his career, Paulette was so sure of what she wanted to do in country music that she chose to get her Bachelor of Arts in Visual Communication, so she, like Chesney, could have a leg up on precisely how to best package and market herself in an ever-changing world of country music. 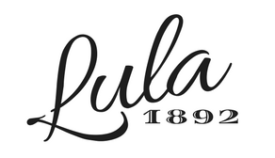 To celebrate her forthcoming EP, Paulette sat for a Rapid Fire Round with Lula 1892. Check out her answers to all our favorite questions! Pedal steel. It’s western, haunting, and communicates feeling better than any other instrument, in my opinion. George Strait. It’s a goal of mine to share a stage with him, sing a duet (“Run” maybe?!) or open for him at some point in my career. What is your favorite meal (something you can only get in a certain state, a home cooked meal only your mama has been able to perfect, or a hole in the wall dish that you get every time you’re home)? My Nan makes the best chicken fried steak, mash potatoes, peas and white gravy. It’s my favorite meal in the world. It tastes like Texas. On airplanes, believe it or not! It’s nice to not have any distractions and be up in the clouds with my thoughts. Figure out who you are and how that fits in the country scene and then be it/do it on purpose. Let it dictate your lyric choices, song choices, and instrumental influences—it will keep you from being like anyone else. When I play “Coolest Girl in the World” you can feel the mood lift in the room—I love that moment in my show! Yes, Ashley Gorley taught me a LOT about songwriting. He was hard on me, he was truthful with me and it made me better. I am so thankful that he took the time to listen to my songs and teach me what he knows makes a great song—I think about his advice all the time when I am writing! Clean, cook and go antiquing. It probably sounds boring to most people but I always feel better mentally when my house is clean. I feel creative and relieved when I cook, and I can just check out and be inspired when I look at antiques…I love thinking about the stories and history behind all the little things I find in antique stores! Where do you turn for inspiration or comfort when life in the industry gets overwhelming? Our family ranch. I don’t think about anything but cows, how pretty it is and how big God is when I am there. It’s the most grounding place on the planet to me. What is the most memorable thing a fan has ever done for you? One of my fans is from Switzerland and I got to meet her when she came to visit Nashville. She made me the sweetest hand-drawn card with a cowboy hat and “Coolest Girl in the World” on the front. It was filled with the most genuine encouragement. It amazes me that someone halfway across the world is relating to my music enough to do that and want to meet me.